The U.S. Army’s fixed-wing training command in Dothan, Alabama has added upset prevention and recovery training to its curriculum. A partnership between APS and CAE will administer the training, using six aerobatic Grob G120TP trainers. 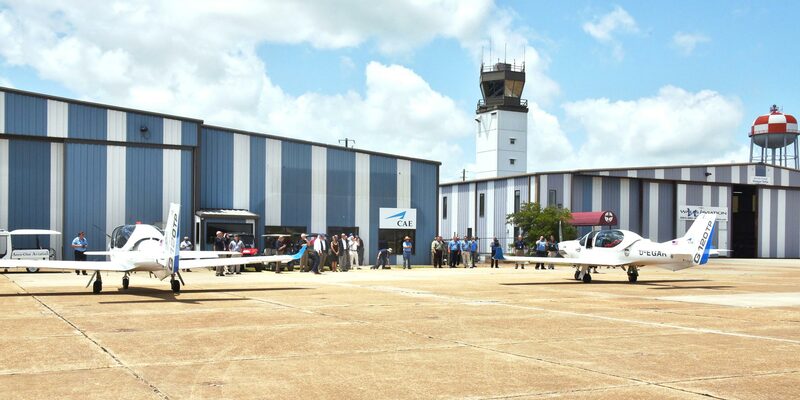 Advanced flight training provider Aviation Performance Solutions (APS) has partnered with CAE to provide upset prevention and recovery training (UPRT) as part of the U.S. Army’s new fixed-wing flight training program in Dothan, Ala. Aimed at helping reduce the risk of loss of control, in-flight, (LOC-I), APS’s UPRT will be part of a training program that includes academics, simulator and live flight training, all of which will be conducted at CAE’s new training center, currently under construction at Dothan Regional Airport. The program will support the transition of rotary-wing aviators to fixed-wing aircraft as well as training ab-initio fixed-wing students. “Upset prevention and recovery training is a critical part of pilot training, so we are pleased to select APS as our UPRT training partner and look forward to working closely with APS to deliver a world-class UPRT program as part of Army fixed-wing flight training,” said Ray Duquette, president and general manager, CAE USA. APS will base two senior instructors at the Dothan facility, where they will train and certify to company standards CAE instructor pilots to deliver UPRT on six new, aerobatic Grob G120TP trainers as well as on four CAE-built 7000XR series Beech King Air C-12 full flight simulators, which will feature FAA-approved UPRT instructor stations. Arizona-based APS (Booth 4663) and its partner Top Aces recently added the Dornier Alpha Jet to APS’s UPRT training program, where it joins a fleet that includes Top Aces TA-4J Skyhawks and APS SIAI-Marchetti S211s, giving it “the widest array of jet training aircraft” to implement its training programs.